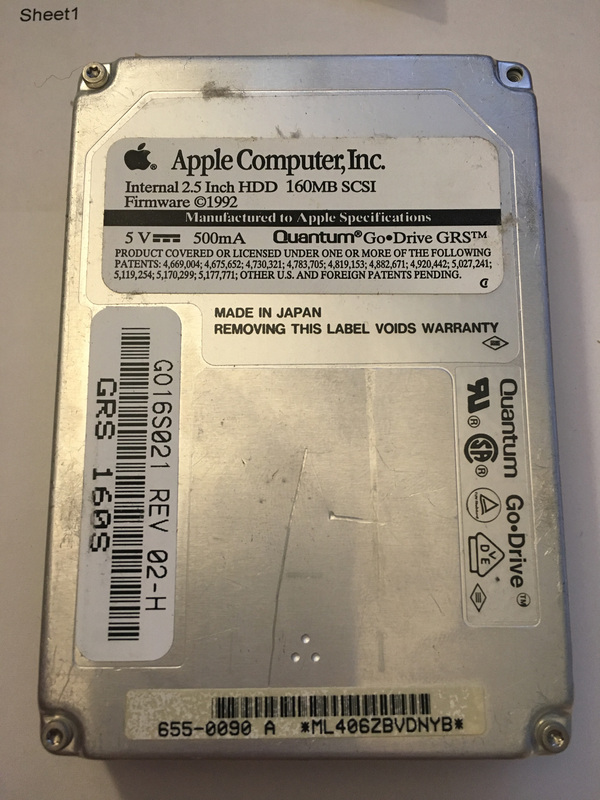 I've got a hard drive pulled out of my old PowerBook 540c. I know it's a SCSI drive, but I don't know what kind of SCSI. It appears to have 40 pins plus some extra, for power or jumpers? I'm hoping someone knows what kind of SCSI this is, and thus what kind of adapter I'll need to convert this to something more standard. I have a USB SCSI adapter that has a chain of adapters that can convert to many common kinds of SCSI, ending at a standard 50 pin connector. 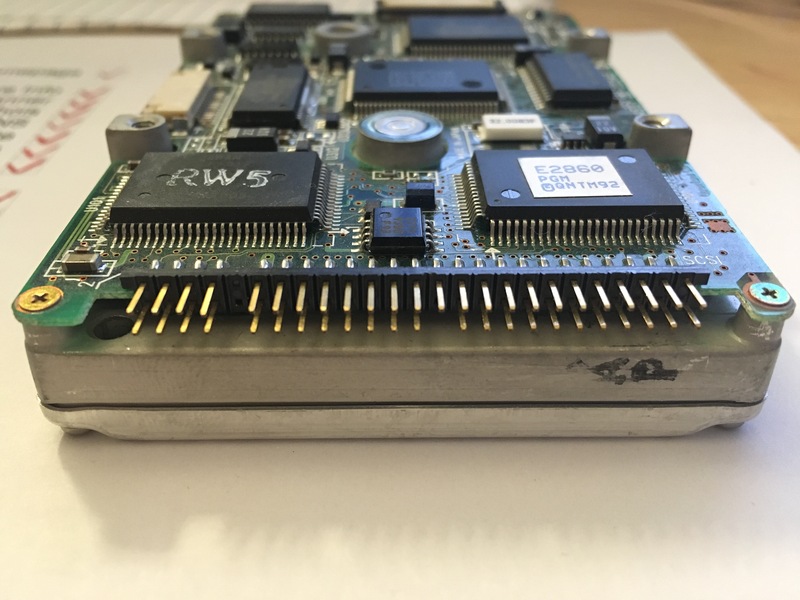 Given that I must need a board with power built in, like 2.5" IDE converter boards had, I don't have high hopes that such a thing even exists. But maybe I'll get lucky? That's a standard 2.5-inch SCSI drive. Not common, but not unique either. So the adapter in the link says it's a 54 pin to 50 pin scsi adapter. But These powerbook drives have 40 pins if you only count the data pins, or 48 pins if you count them all. You would at least get 50 pins if you pretended the gap between the two banks of pins was pinned itself, but I can't see getting any more than that. Theres one on ebay that looks the same, but calls itself a 50 pin adapter. And it has the power input lead too. Still not sure if either are right.